Although I have not gone full Paleo just yet, I am having so much fun experimenting with different recipes. After making Paleo flourless zucchini brownies a few weeks ago I knew this super clean way of baking and making desserts was right up my alley. I stumbled upon a delicious sounding Paleo pudding recipe here and after making a few carb and diabetic friendly modifications I am here to say that this is beyond delicious and lasted a whole 20 minutes before Max and I fully devoured the whole batch...woopsie. *I made a slightly different version for my husband later that day (he was so bummed when I sent him a picture and then 20 minutes later told him there was none left ha) that had 1 avocado and 1 banana and it was just as good! You could also use only banana if you are not a huge fan of avocado. 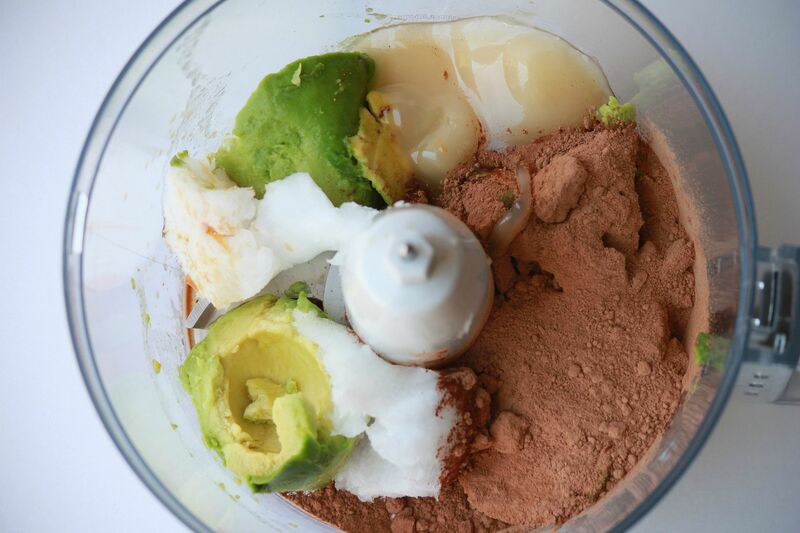 Add all of the ingredients to a blender or food processor and puree until you have a nice smooth consistency. Place pudding into the fridge and let it get nice and cold for an hour or so. Enjoy! This did not disappoint! The avocado and the chocolate completely compliment each other and it is rich, creamy and smooth...everything a good pudding should be. This sounds delish. The hubby and I were full paleo for a while a couple years ago and then I fell off the wagon (I love my carbs!) but this recipe is a great example of how things can still taste good without being full of sugar! Thanks for sharing! I can tell by the picture how smooth and creamy it is! I want to make this and then not tell Caleb and see if he can tell :) I've seen some other baked goods with avocado in the recipe - I love the idea of healthy surprises in my desserts! Oh my, that looks so gooood! You always share the most delicious looking recipes! I've made your zuch brownies twice since you posted that recipe, and i love them! Can't wait to try this new recipe! Keep them coming! ps when my son tasted the brownies, he said, "ew..yuck! You know I dont like cinnamon"! ha!! Love love the way avocado makes it so creamy! Yum! Things I have never heard of that sound so incredibly amazing!!! That looks like the PERFECT level of creaminess! Wow! 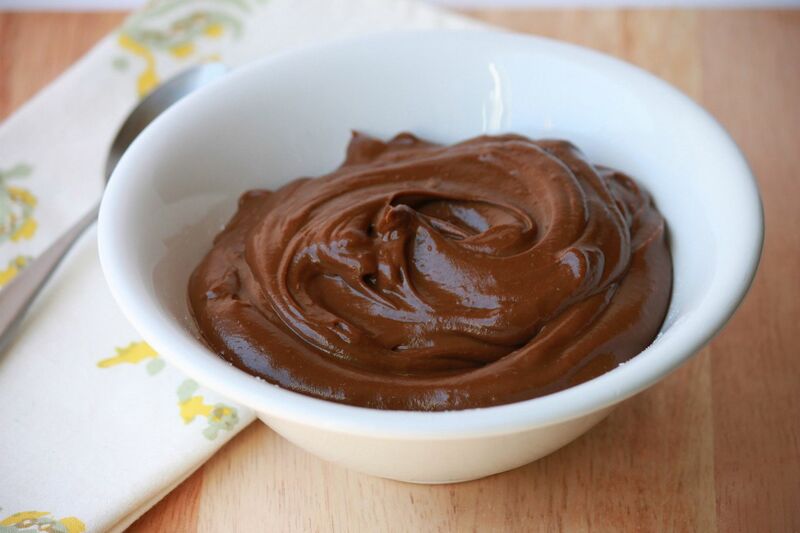 I thought I found the weirdest thing when I tried tofu chocolate pudding! I'll definitely be trying this out. thanks! I have heard about avocado puddings - this looks really good...it would be great for my 2 year old who doesn't eat! What! This sounds awesome. You are one brave lady to try these recipes. I have to admit I would have never thought those 2 ingrediants could taste well together but if you got a toddler to gobble it down then I'm sold! I can tell in the picture it does look yummy and creamy. this looks so good! I pinned it, and can't wait to try it out. 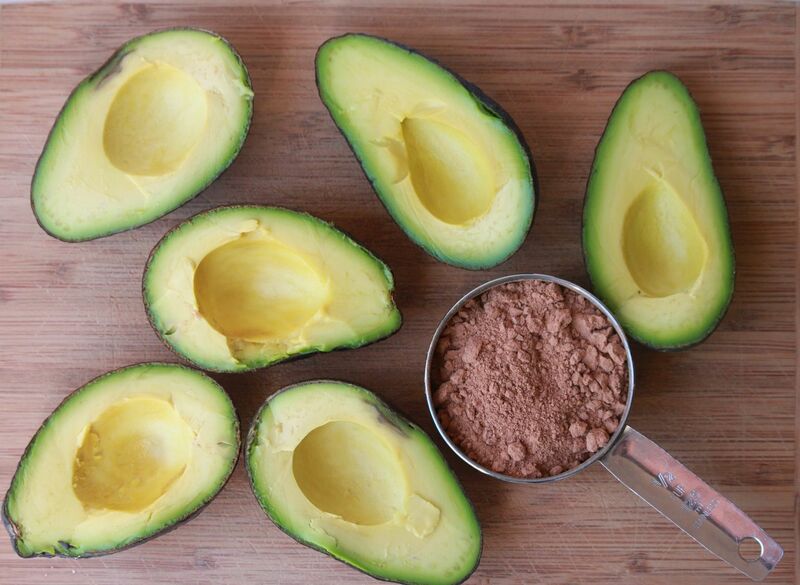 Looks delicious but I never would've imagined avocado and chocolate together! Looks amazing! I just happen to have lots of avocado that needs to be used up too! I saw this recipe somewhere and wondered if it would be good frozen. Have you tried it that way yet? Stick it in the freezer! So good on a hot day! Omgosh thank you so much for posting this...the pic had me sold so i got some avocados and just made it.....soooo good. I have a two year old daughter that i love making healthy snacks and desserts for...this was awesome, tastes terrific. Ive heard of avocado pudding before but i was kind of like ...eh, sounds weird...but i figured that if you liked it ..it must be good, however i did not have any raw honey so i used agave instead. this looks so good!! i'm so intrigued, so i have to make this soon! Made this tonight for dessert. Amazing! so so so delicious! Is there anything I can use in place of the coconut oil? I added 1/3c of maple syrup to the 2 avocado rendition (bananas would have been a less sugary sweetener), and it came out deliciously! Wow, I made this earlier today, and I'm eating it right now. I love everything about it. The taste and texture are fabulous. The rest of my family are not crazy about it, but they don't know what's good!! Thanks for another great recipe. Just a note about something I have recently learned. If you don't digest coconut well, you can buy raw cacoa butter and use it in place of any coconut or other oil and it is so yummy. Thanks so much for your recipes. They are great and I use them alot! What could you use in place of coconut oil? I'm not a huge fan of coconut. I just made this. I've destroyed avocado pudding in the past, let's hope this mix will satisfy. Based on initial taste test, I think I will try the 1 avocado and 1 ripe banana next time to compare...I like my treats to be sweet if I am going to enjoy a treat. Thanks for the post. I made this with one large ripe banana and one avocado. On top of all the ingredients, I added a bit of agave syrup to it and that produced a sweeter taste! This was delicious. I tried to make it in my blender and it would. not. blend. Definitely should have used the food processor. I tried adding a little cream to try and get it to move and it didn't work. I eventually got it mashed and mixed and it was yum. I will definitely make this again. This is my go to paleo dessert whenever I need a sweet fix. I've tried it with and without bananas. Its great the next day. Thank you for sharing! Can I use agave nectar instead of the honey? This was absolutely sinful! SO good I couldn't believe it was healthy. I did use 1/2 banana and 1/2 avocado. I want to reblog this with full credit, if I may? I made this, but used Dark Cocoa powder. Had to add a packet of Nu-Stevia to counter-balance the dark cocoa poweder. But....O! M! G! This is so freaking good! I had to resist eating the whole thing. LOL! Best recipe ever! May add some orange or peppermint extract instead of vanilla next time.